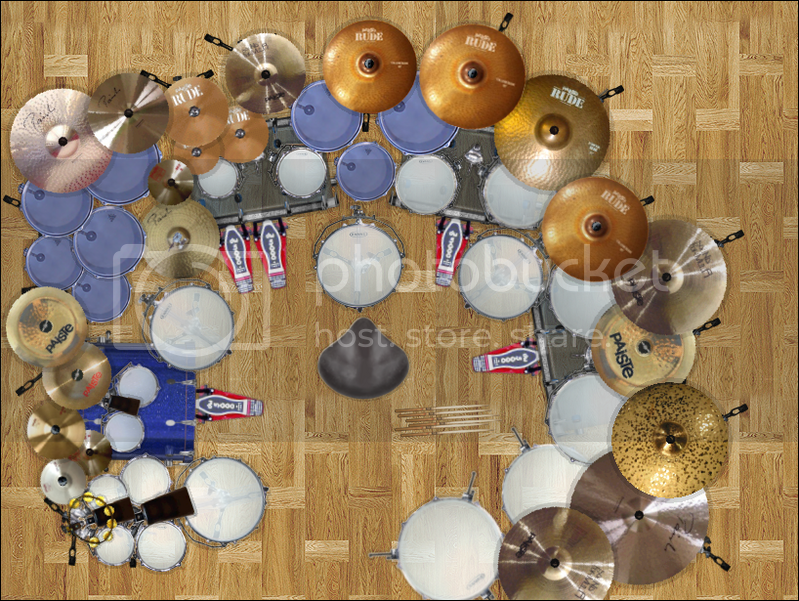 Then this is my dream kit I hope to afford one day. I call it The Progressive Set of ALL Progressive Sets. What about the bottom right? No need for attitude, cuz. If you're talking about the turn up/turn down buttons, well they don't do anything on my DFKitConstructor. Oh wait, haha. My bad, dude. No problem man. Drummers aid each other! Another thing - how did you expand the floor area? And is there a function in KitConstructor that enables this? Last edited by booker_t on Fri Aug 10, 2007 12:16 pm, edited 2 times in total. This was drawn up pretty well nice job! Tell me though, what do all the kicker things do??? Well I'll tell ya sucka'! 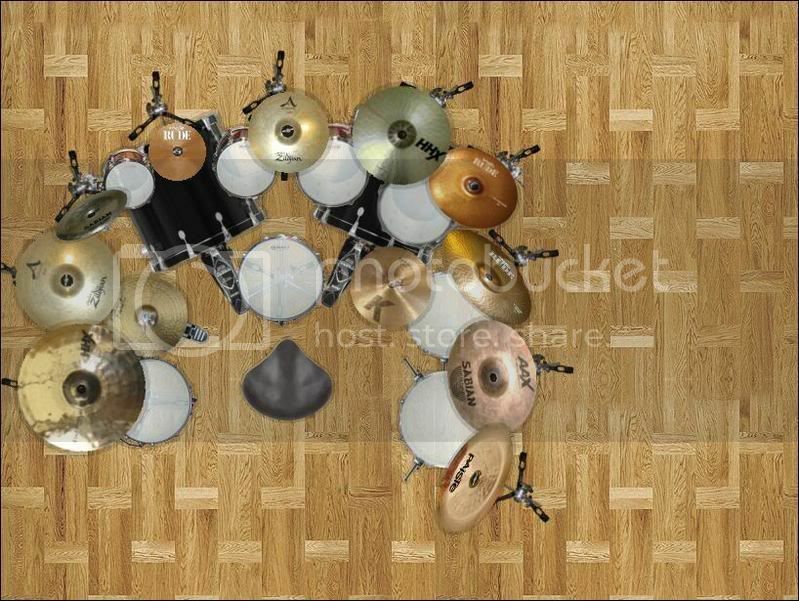 The four nearest to the center pedals (2,3,4,5) are for the bass drums. 2 and 4 will be connected to hit the 22" bass; and then 3 and 5 connect to hit the 20". So they will be connected by a double bass drum type device. The outer pedals will remotely control the four hi-hats. As you can see there are two sets of hi-hats; 13" and 14". The right pedal will open and close the 14" inch hi-hats, and the left pedal will open and close the 13".